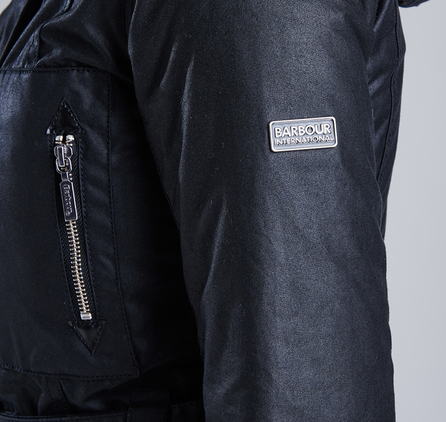 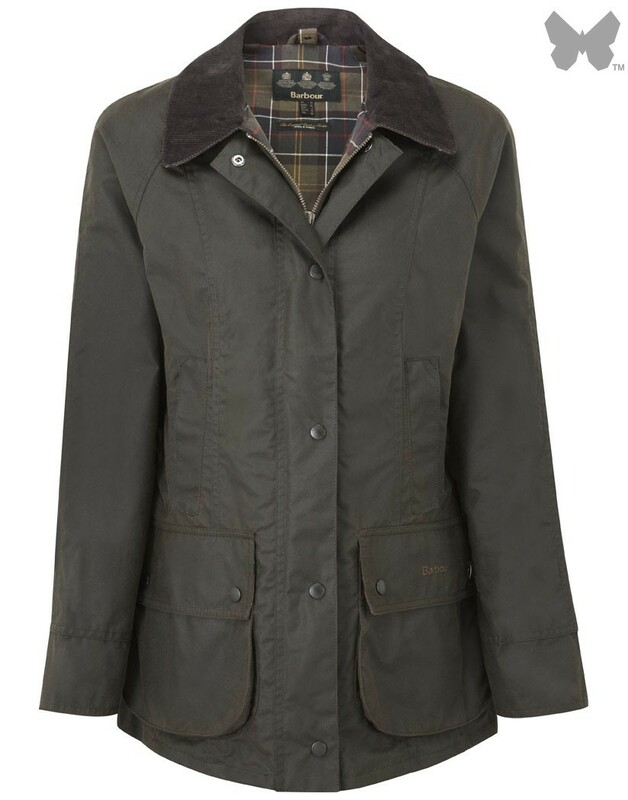 The Katana Wax Parka is a fitted, feminine style inspired by Barbour International's motorcycle heritage. 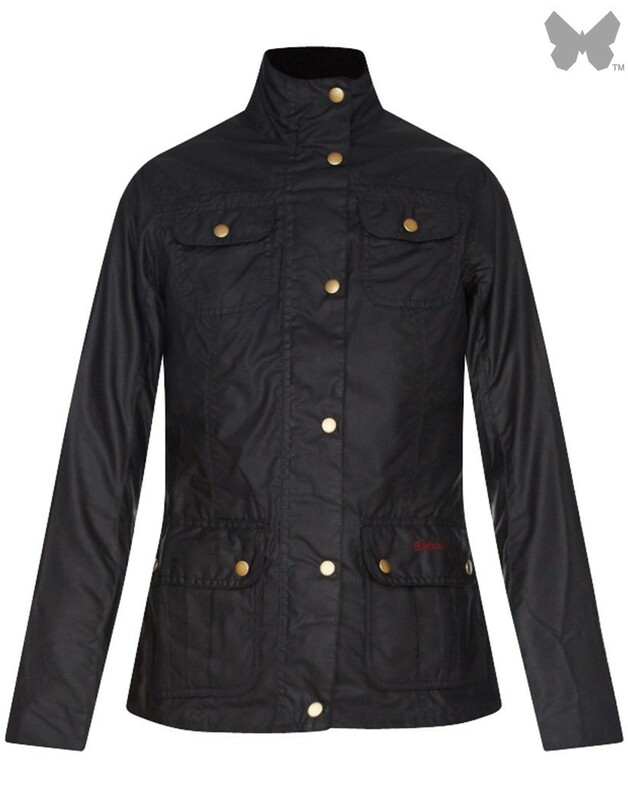 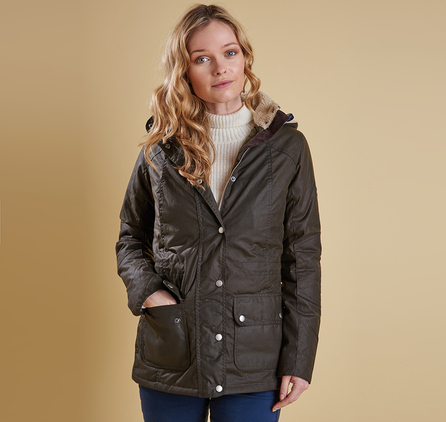 This sophisticated women's wax jacket teams a sleek black waxed cotton outer with an incredibly warm, luxuriously soft faux fur lining. 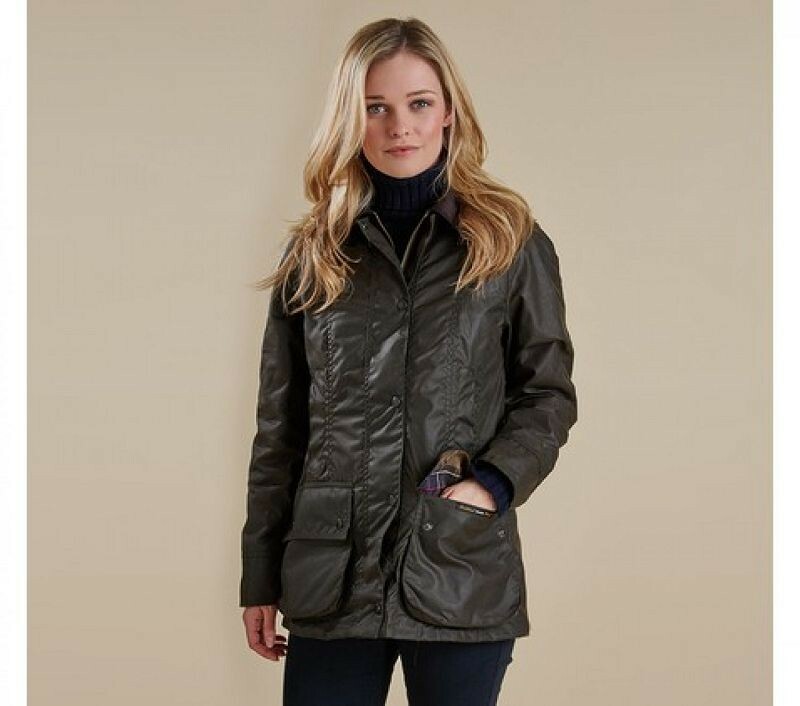 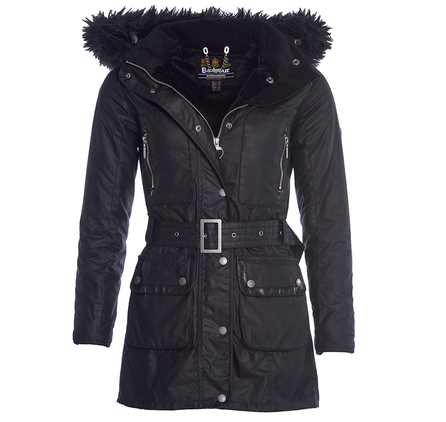 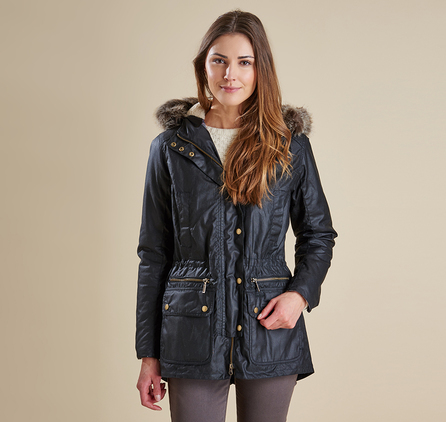 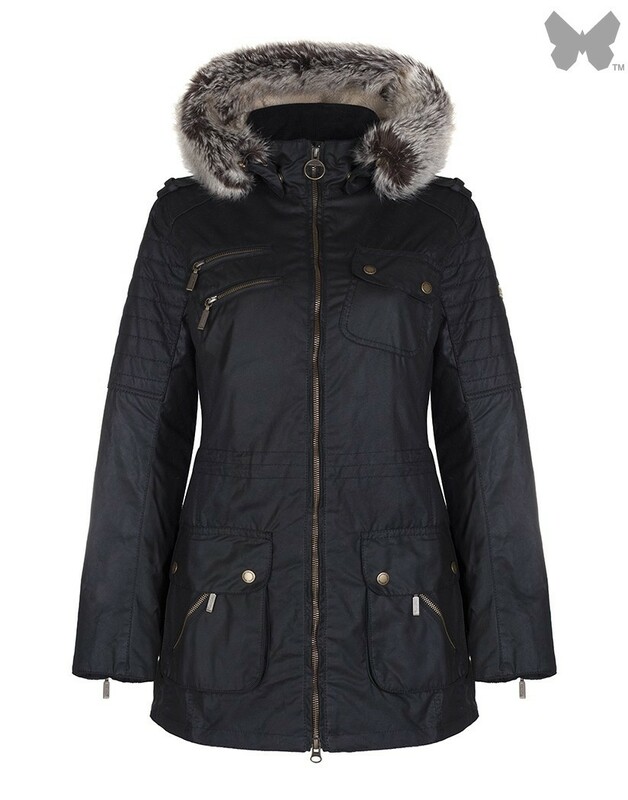 Its flattering shape is enhanced by the waist-defining, buckle-close belt, while the detachable fur-trimmed hood and longer length create the classic parka look. 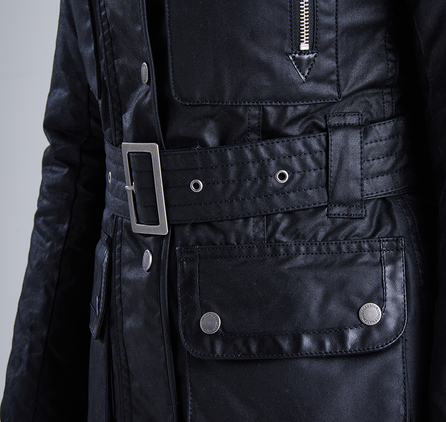 Two chest pockets feature exposed metal zips, and two hip-height bellows pockets are generously proportioned to carry essential items.